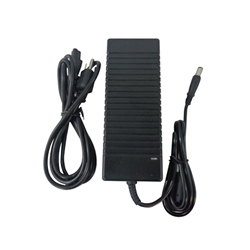 Description: New laptop ac adapter charger. Comes with power cord. You will receive a high quality aftermarket adapter. Compatible Part #'s: PA-13, PA-4E, X9366, 9Y819, W1828, D1078, TC887, X7329, D1078, K5294, 310-4180, 310-6580, 310-8275, 310-7848, 310-7849. Dell Inspiron 5150, 5160, 9300. Dell XPS M1210, M170, M1710, GEN 2.